Sea Hunt Scuba is a 20+ year PADI 5 star facility offering the most highly coveted scuba certification in the world. More than two thirds, of the worlds certified divers are PADI trained. This means that our student have the most recognized certification cards in the world. Curtis Deyo and Steve Bohanan, who do most of the training, have been teaching scuba diving for more than 25. "We want our students to leave w/ the best training available". Learn to dive and dive the world! Since 1992 scuba, diving has taken Sea Hunt Scuba's customers out of the country over 30 times. Florida has the best reef and wreck dive in the country. Please come and visit our facility for your next diving adventure. Steve has made approx 4000+ dives. 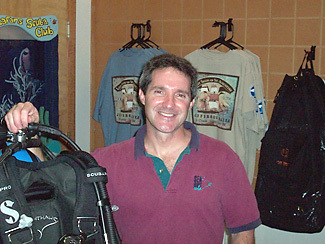 He is a Specialty Instructor in many areas of diving. Dive travel is one of his areas of expertise. He has been diving in many of the world’s best diving destinations. Australia, Fiji, Tahiti, Palau, Truk Lagoon, Hawaii, Galapagos Islands, Socoro, Coco, Thailand, Red Sea, and much of the Caribbean are just a few of the places he has run trips. His passion for scuba diving is rooted deep in his faith in Jesus. Steve says "God has brought me Peace, Purpose, & the Promise of Heaven despite my failure. This has given me an enjoyment of diving I thought not possible!" Total Logged Dives to Date: 3000+ Approx. Total Decompression Dives: 1000+ Approx. Dives Deeper than 100 Feet: 800+ Approx. 1978 TO 1981 - Worked for Florida PADI Collage as divemaster and equipment technician. 1986 TO 1988 - Worked for Aquifer Dive Center-Jacksonville, FL as divemaster for openwater training program. 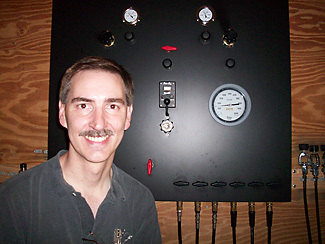 1988 TO 1994 - Instructor/Technician/Manager for Aquifer Dive Center. Youngest person to have received Advanced Technician Training.